Nicole was absolutely thrilled to see the new Poppy range by SEI that she simply could not wait to get her hands on it. She loves the combination of bold yet understated colours, and graphic repetitious patterns combined with more fluid lines on the florals and lined papers. Here she has combined the SEI Poppy papers with a Hambly overlay, Jenny Bowlin journalling spots and a Scrapping Clearly acrylic flourish. Nicole is most excited by how easily the Poppy line coordinates with other ranges available right now which adds to it's versatility. 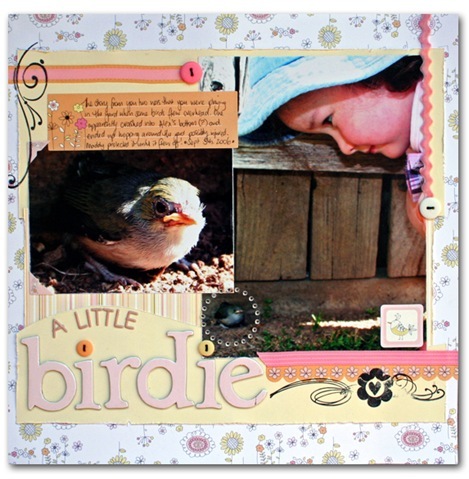 Using products from the SEI Chickadee range, Nicole created this adorable layout of her daughter and a little bird she found in the backyard. 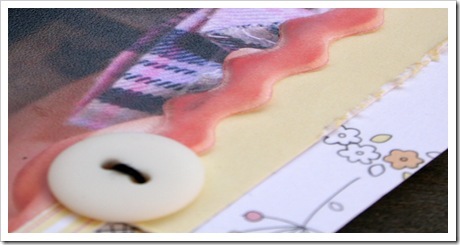 The diecut stickers, journalling spots, ribbons and buttons made it easy to match everything to the paper. 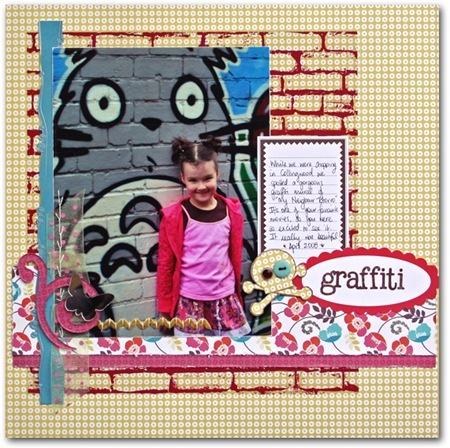 Nicole finished this page off with Inque Boutique, Pink Paislee and Little Yellow Bicycle stamps, and some Heidi Swapp jewels. Suz loved the texture of the patterned papers in the Dill Blossom line, and the rustic sentimentality of the design and colours. 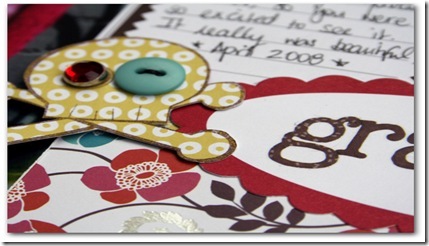 She created this simple but beautiful layout to record a few thoughts she wanted to convey to her children. Lots of choices are available now for brown rubons, which make a softer statement than the black - the design running along the bottom are Cosmo Cricket, and the alphas are Scrapworks. This delightful layout by Nicole Samuels also uses the SEI Dill Blossom mini coasters - and we're blown away with what she's done with them. 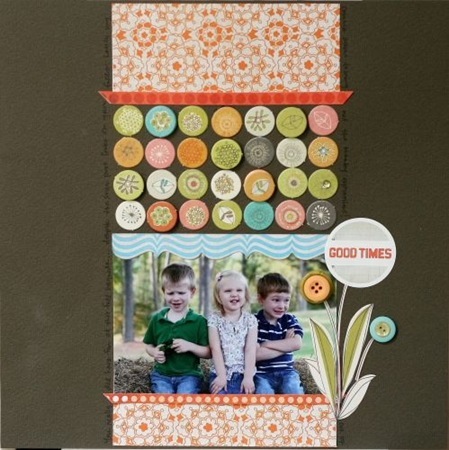 With a stunnig simplicity, Nicole has grouped them all together in a block on her layout. 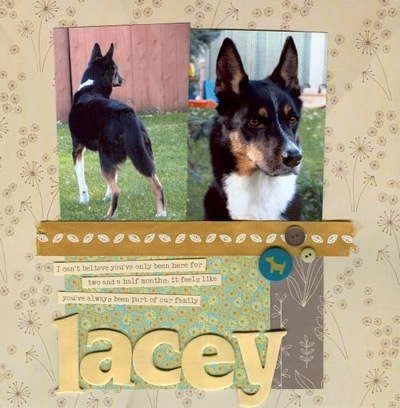 Thanks so much for allowing us to share this adorable page Nicole. Janine Kaye shares with us this stunning example of the new SEI Poppy. 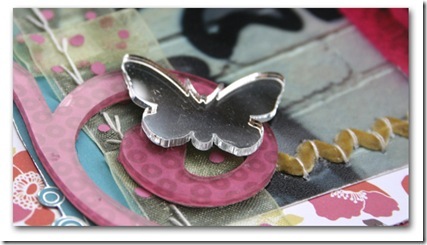 We love everything about this page Janine, the photos suit that gorgeous photo of you perfectly! We'd like to introduce Pearl Liu to our blog as she shares this final gorgeous example of SEI Poppy. 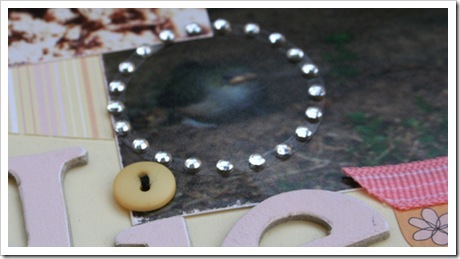 Pearl has used several of the patterns from the range plus the embellishments to create this lovely page. Thankyou for sharing with us Pearl. 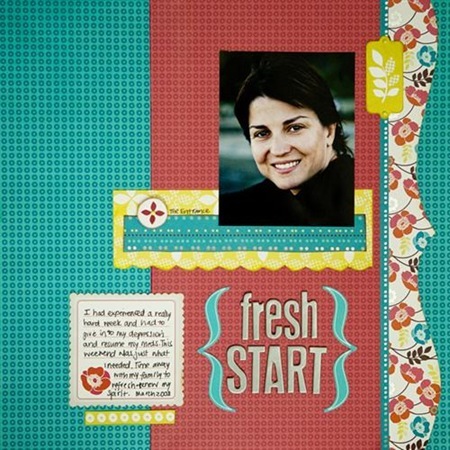 Sharing this gorgeous page with us is SEI Design Team member Maria Burke. 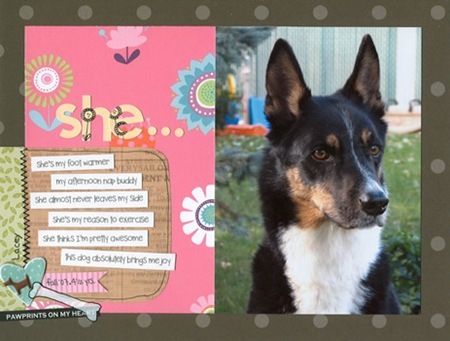 Here Maria has combined SEI Ally's Wonderland with SEI Park Buddies range to create this lovely page of her beloved family dog. A fantastic example of how combining papers from different ranges can work to your advantage better than just using the one range. Thanks Maria! This gorgeous example of SEI Chickadoo by Maria Burke. 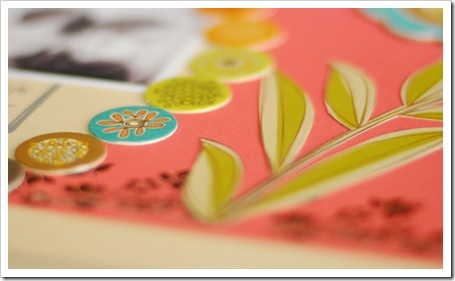 Maria has used the Chickadee papers and combined them with chipboard flowers from the Ally's Wonderland range by SEI. 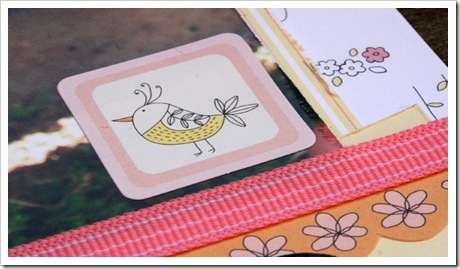 This delightful example of SEI Chickadee by Maria Burke. We just love the yellow accents against the pink and white background. 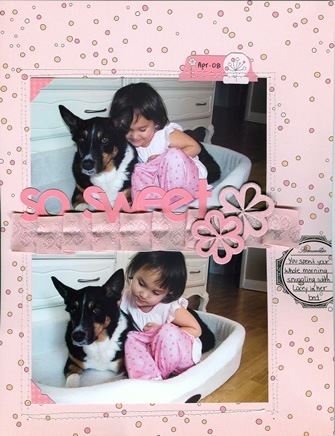 Finally, another beautiful layout by Maria Burke with her sweet puppy, this time using the SEI Dill Blossom range. The gorgeous earthy tones of this collection lends itself to many different themes and layout ideas.